Looking for a t-shirt, souvenir? Sign up and we'll let you know when the store has it's grand opening! 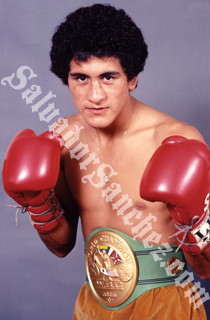 We hope you are enjoying the site in dedication of Salvador Sanchez and want to thank you for all your love and support. You too can be a part of this great icon’s history by offering a collectible for sale to add to this ever expanding collection that will soon become a museum for the world to admire and experience how great of a champion he was inside and out of the ring. Email us at officialsalsanchez@gmail.com for any inquiries.